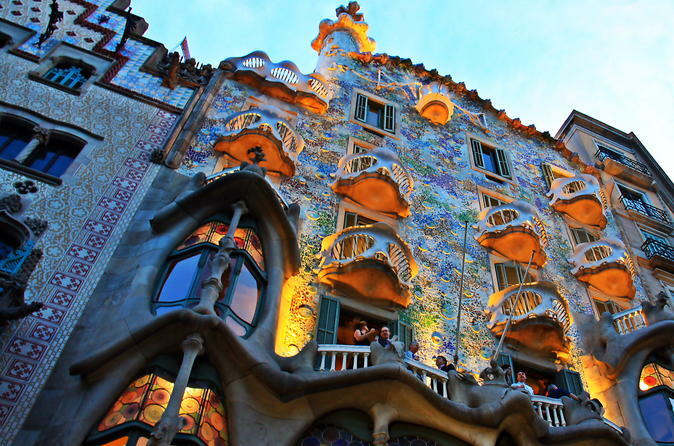 Discover the Sagrada Familia, the Camp Nou or The Pedrera in the easiest way from Madrid...By High Speed Train! This adventure starts at 7:30AM at Madrid Atocha train station where you will take the High Speed train to Barcelona Sants Station. Remember we will send you the electronic train tickets after the booking process and just show them at the entrance. It takes only 3 hours 10 minutes! When you arrive to Barcelona, exchange your voucher for the Barcelona Bus Turistic at the Station (at Tourism office or directly at the Bus) and start to discover the city by yourself. You can hop on-off as many times as you want. You have 3 routes and 45 stops at the main points of interest such as Montjuic, Pedrera Palace and Casa Batlló, Sagrada Familia, Camp Nou, Tibidado and Parc Güell and of course the Beach! The audioguide is available in 16 languages and you get also a discount-voucher booklet with savings very interestings. Don forget that your Return train it´s at 8:00PM from Barcelona Sants Station.